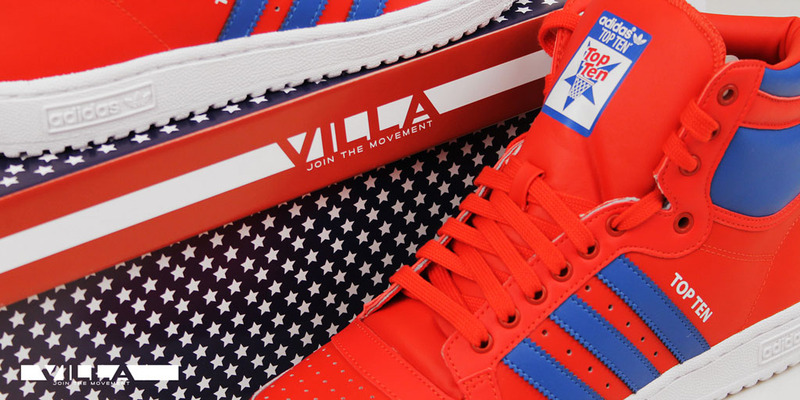 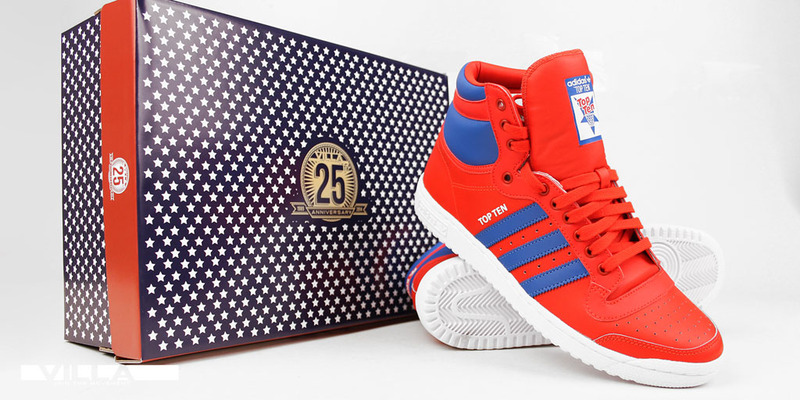 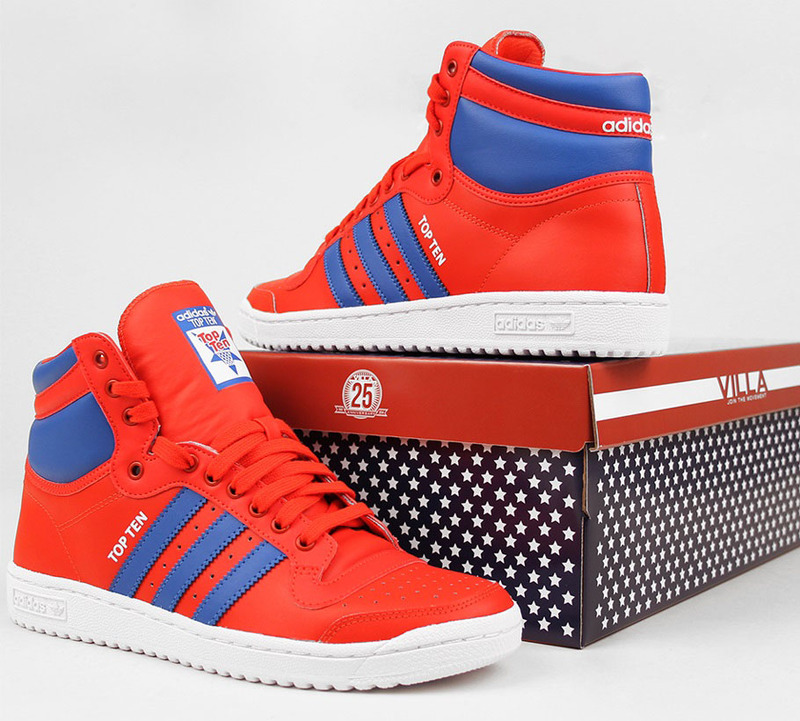 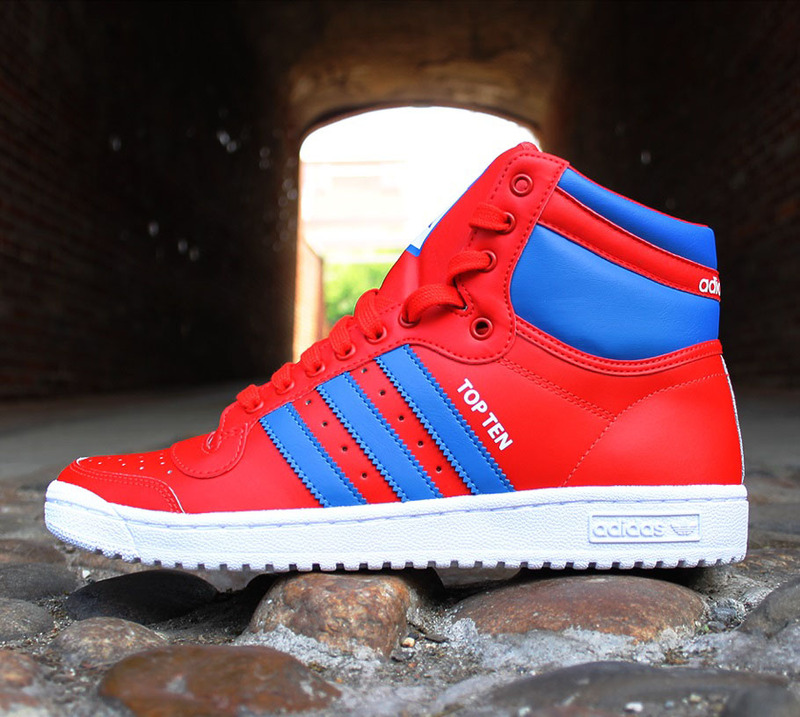 Philly-based retailer VILLA has teamed up with adidas for an exclusive sneaker collaboration. 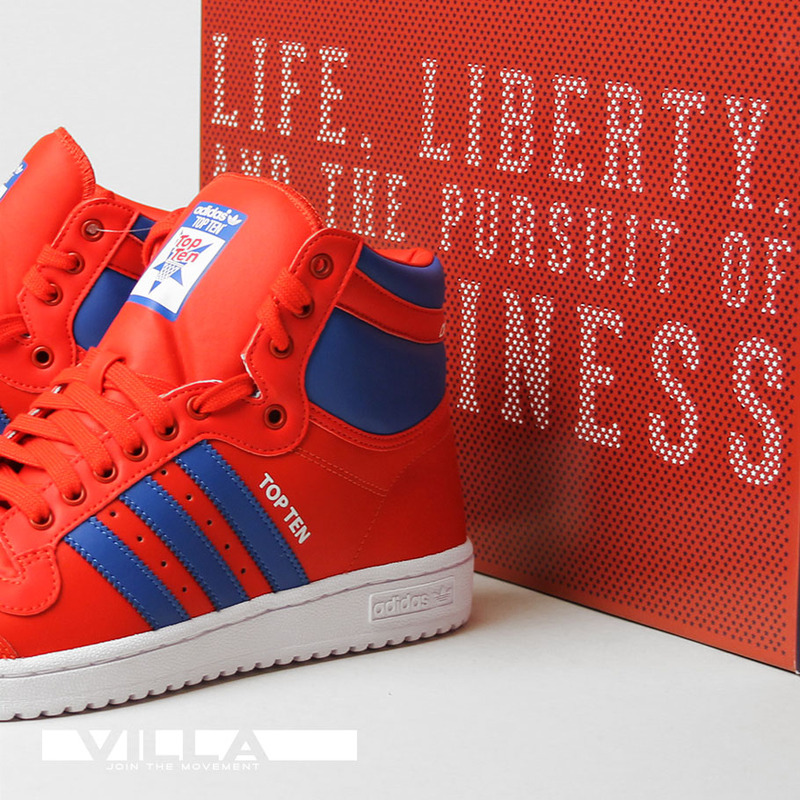 The ‘Final Draft’ Top Ten is the second shoe celebrating VILLA’s 25th Anniversary, following February’s ‘VILLA89’ Timberland boot. 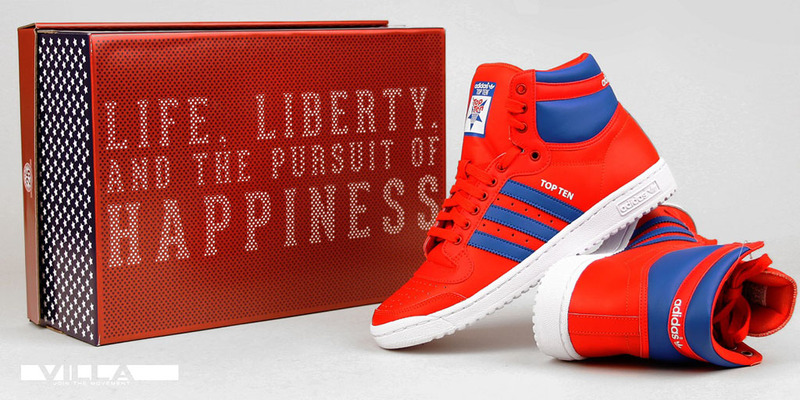 Inspired by the Declaration of Independence, the shoe draws its nickname from the one phrase that was never edited through every revision of the document; "Life, Liberty and the pursuit of Happiness". 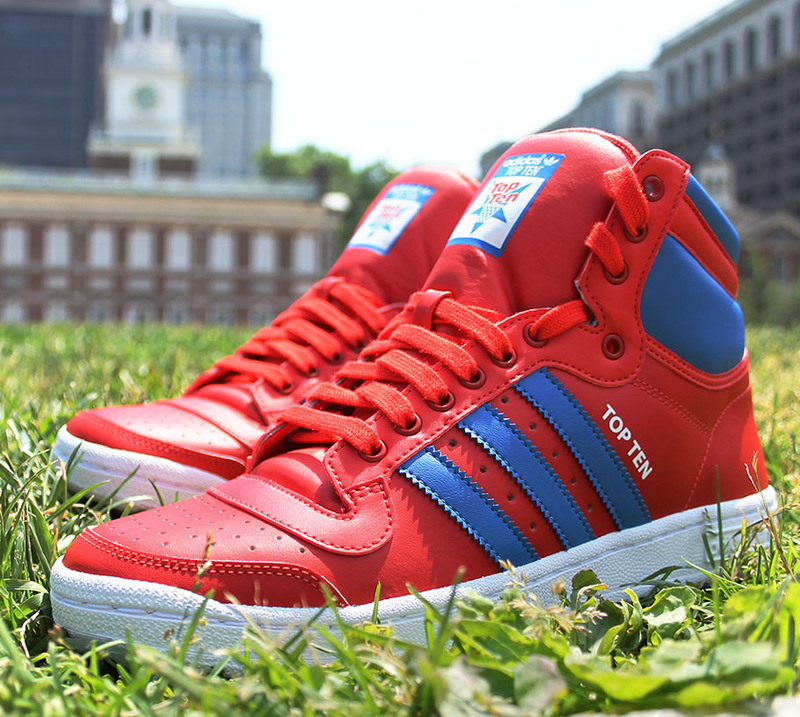 The ‘Final Draft’ honors this founding principle and the American spirit with a traditional red, white and blue colorway. 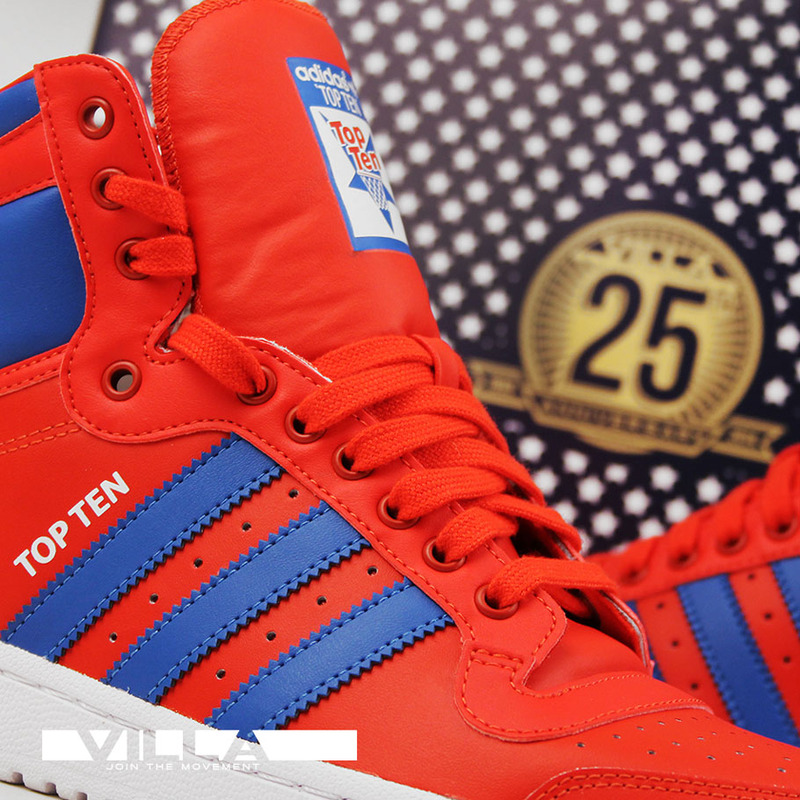 The ‘Final Draft’ Top Ten will launch at all VILLA retail locations and ruvilla.com on Saturday, June 28 for $90.